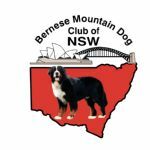 The Bernese Mountain Dog Club of New South Wales. Protecting and preserving the Bernese Mountain Dog by promoting ethical breeding practices and doing all that is possible to improve the health of the breed. Providing information and support to Bernese owners and breeders alike.